The Decapod Type, in general, was not a very successful design as it was riddled with issues that caused the locomotive to be underpowered, somewhat unbalanced, and rough riding. However, 2-10-0's did have one big advantage that made it attractive to a handful of lines, its five driving axles allowed for very high tractive effort making the locomotive quite useful in heavy drag service in mountainous territory. Two railroads in particular found the Decapod very much to their liking in this capacity along their routes through the Allegheny Mountains; the Pennsylvania and Western Maryland. While the Pennsy perfected and put to use the most powerful 2-10-0s ever used it was the WM that operated the heaviest in regular service. Today, a little more than one dozen of these locomotives remain preserved with one that is currently operational. 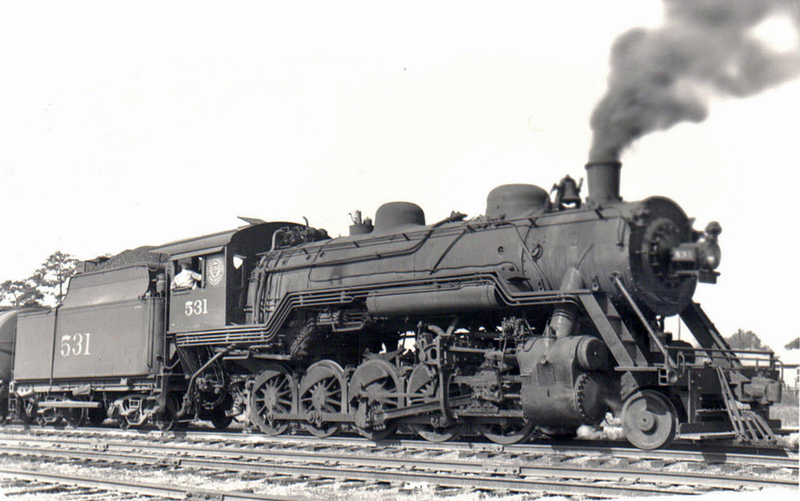 The Decapod Type was essentially an extension of the very successful 2-8-0 Consolidation. However, ironically, the very first 2-10-0 prototype was built in 1867, just a year after the 2-8-0 had debuted. Interestingly, the Lehigh Valley was the first railroad to operate a Decapod just as it had been the first to utilize the new Consolidation. Unfortunately, the LV found this early 2-10-0 impractical due to its long, rigid wheelbase and the railroad cut it down into a Consolidation. While the 2-8-0 was improved upon throughout the 19th century and came to be the favorite within the industry as standard, main line power the Decapod languished in relative obscurity until the 1880s. Finally, in 1886 the Northern Pacific ordered two 2-10-0s from Burnham, Parry, Williams & Company for use in operating the tortuous grades over Stampede Pass until the new tunnel could be completed. Listed as number 1 and 2 and given Class M, the locomotives were the most powerful ever built up to that time capable of producing 35,000 pounds of tractive effort and weighing 135 tons. 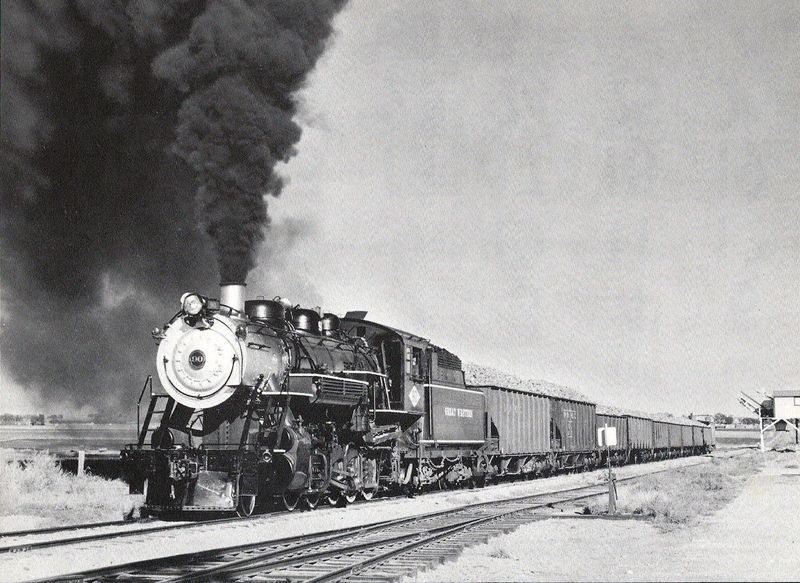 Still, while handfuls were built through the early 20th century the design had simply not caught on with most railroads which found several issues with the locomotive; its long wheelbase precluded it from operating within territories with sharp curves, a small firebox that did not allow for sufficient steam (caused by no trailing truck to support the weight of a larger design, which resulted in the locomotive being underpowered), and small drivers. The small drivers could not properly balance the incredible piston thrusts (needed for so many axles) causing not only very rough riding but also down right dangerous operation of speeds greater than 50 mph. With so many issues affecting it the Decapod type became mostly discarded and forgotten, so much so that it was declared an obsolete design in 1916. Ironically, it was around this time the wheel arrangement gained a level of vindication and a second life. After the start of World War I, Russia requested a staggering order of 1,200 Decapods from American locomotive manufacturers for the war effort. However, the Bolshevik Revolution of 1917 caused roughly 200 of the locomotives to be stranded stateside. With the railroad industry then heading under the control of the United States Railroad Administration the Decapods were converted to American standards and put into service on various railroads including the Atlantic Coast Line, Detroit Toledo & Ironton, New York Lake Erie & Western (Erie), New Orleans Great Northern/Gulf Mobile & Northern, Nashville Chattanooga & St. Louis, New York Susquehanna & Western, Philadelphia & Reading, Seaboard Air Line, Frisco, and New Orleans Texas & Mexico. 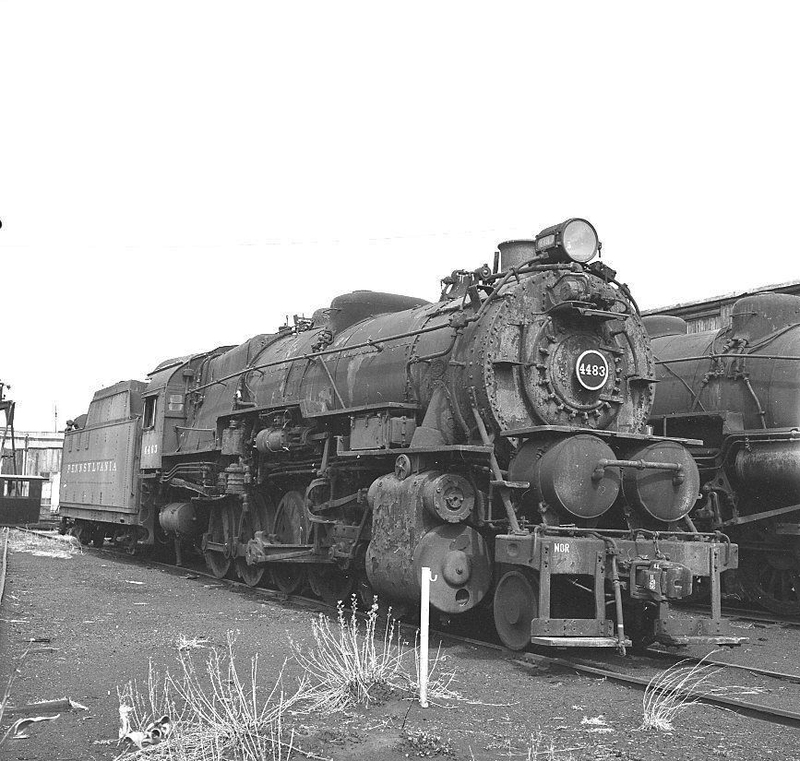 Surprisingly, these 2-10-0s proved to be fairly reliable and several roads continued to use theirs through the end of the steam era into the early/mid-1950s. Around the time of the Russian order, in 1916 the Pennsy began perfecting the Decapod for use in heavy drag service on its main line territory through the Allegheny Mountains. However, unlike the Russian design that featured drivers that were only roughly 52 inches in diameter, the PRR's built theirs (classed as I1s) to 62-inch specifications and a wheelbase about four-feet longer. These factors, coupled with an overall heavier locomotive (thanks to the PRR's heavier infrastructure), enabled the Class I1s to have more than twice the tractive effort (102,000 pounds) over the Russian design (roughly 50,000 pounds). Despite many crews loathing the steamers due to their very rough ride, the railroad built 123 Decapods within its own shops and purchased another 475 from various builders, completing its fleet of 598 in the early 1920s. As impressive as the PRR's fleet was, it turns out the Western Maryland owned the heaviest Decapods ever built; and, like the PRR the WM used theirs in heavy drag service. The WM classed their 2-10-0s as I-1 and I-2, and essentially based the locomotive from their successful 2-8-0 Consolidations. The railroad wound up with 30 examples numbered 1101-1130 (mostly built by Baldwin) and used them all over the railroad from the Thomas Subdivision to the Connellsville Extension. It seems the WM was able to figure out the design's balancing issues as engineers often reported being able to operate them at or above 50 mph without significant issues. In the end, the Wild Mary's Decapods were not retired from until the mid-1950s. 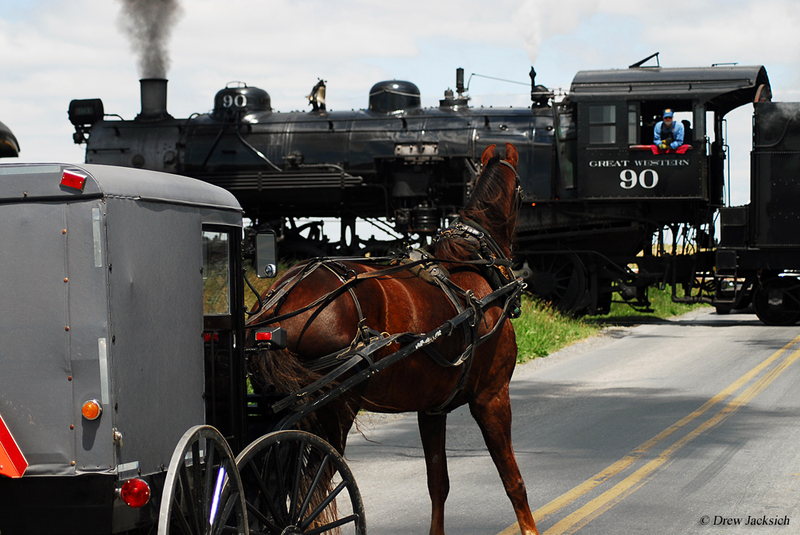 Today, a number of Decapods have been preserved across the country and one is even still in operation, #90, of Great Western Railway lineage, operates annually on the famous Strasburg Railroad in the Pennsylvania Amish Country.